The ICV Digital Media’s video studio rental is a flexible San Francisco bay area video production studio sound stage rental work space designed by people that shoot video… US! It’s affordable, flexible and spacious. Perfect for video, film shoots, photo shoots or sound/performance recording. The 2500 sq.ft. 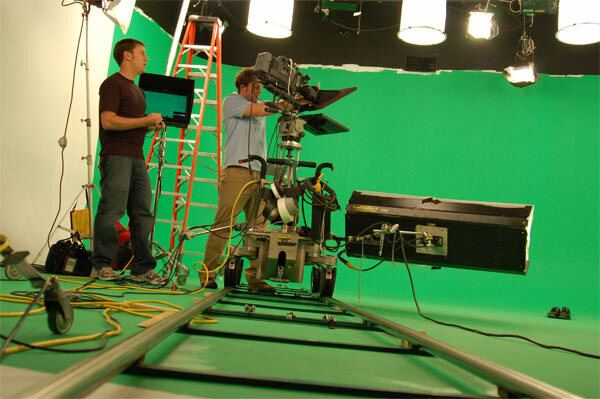 soundstage is complete with a 35ft 3-wall cyclorama for green screen effects. Abundant power and lighting and a full store of HD production support gear. All ICV video studio rentals include a makeup/dressing room, green room, a kitchen, wireless Internet and lots of free parking. We have a drive in door for vehicles or set construction. Our very affordable lighting and HD video packages make it easy to put your video project together. Please contact ICV Digital Media for more information regarding this film location at (925) 246-8230.